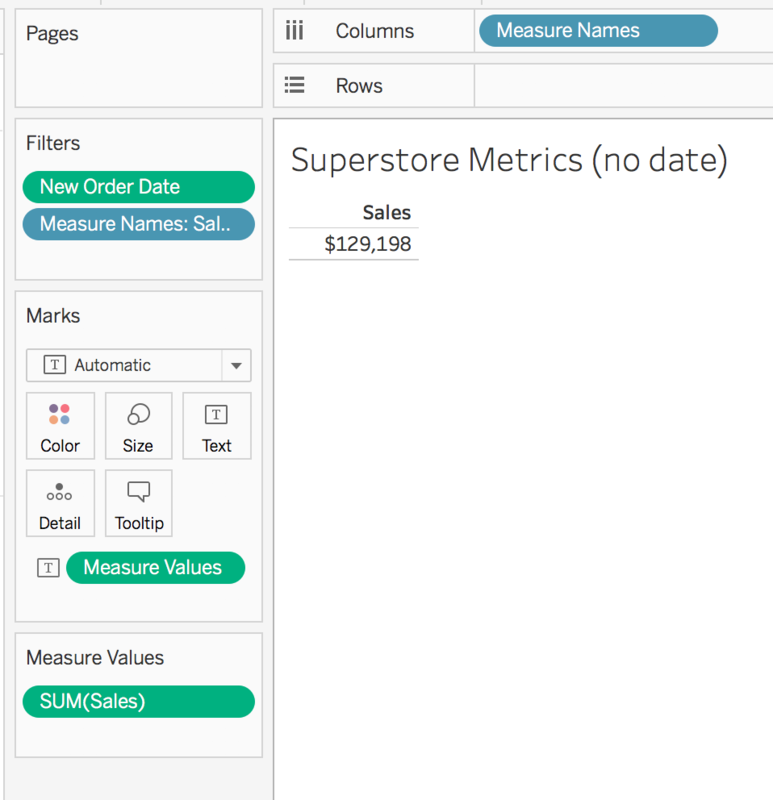 Foundation for importing Metrics from Tableau is a simple tabular "Measure Names / Measure Values" view. The view can contain one or multiple values and may have dimensional columns for filtering and also may have a date column. 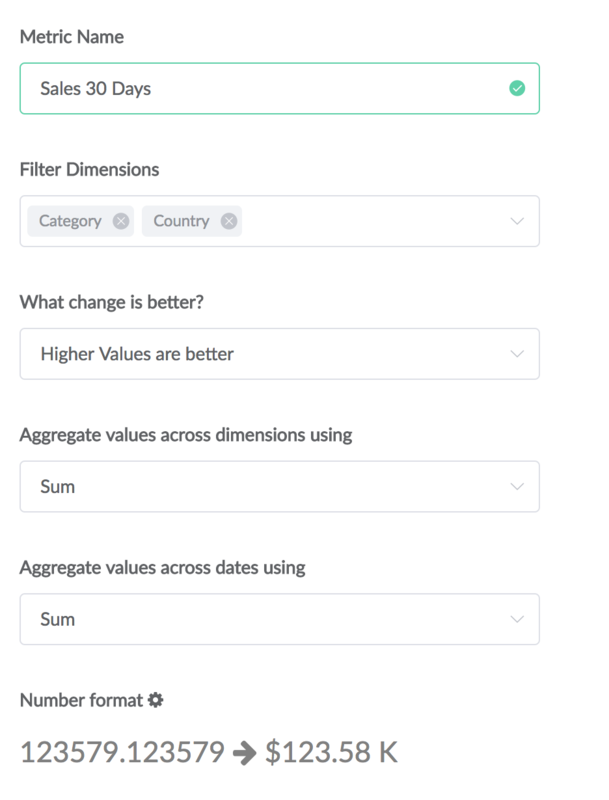 In PushMetrics this will result in 10 metrics with 2 filter dimensions and the historic data imported. This is particularly handy given you can extract 10 different metrics with one single import job. However, you could as well create a view with only one measure value, no date and no filter dimensions. 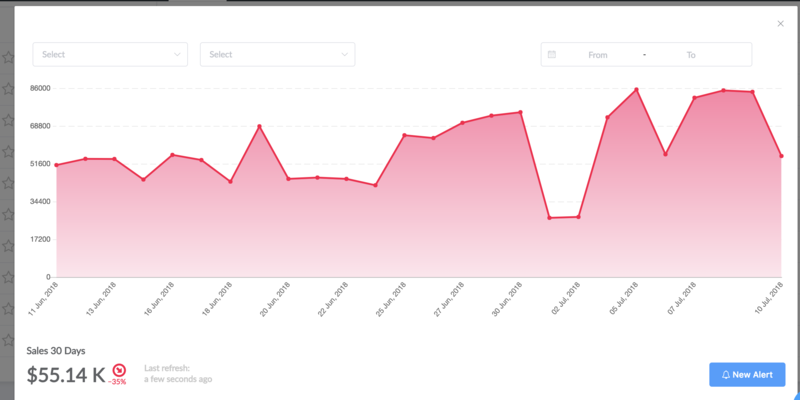 In PushMetrics this will create a history of the single value over time. Please not that number formatting will not be applied to PushMetrics and that existing values with the same timestamp will be overwritten on every import. If you have created and published the source view for Metrics and it's synced to PushMetrics, you can create the Import Job in PushMetrics. 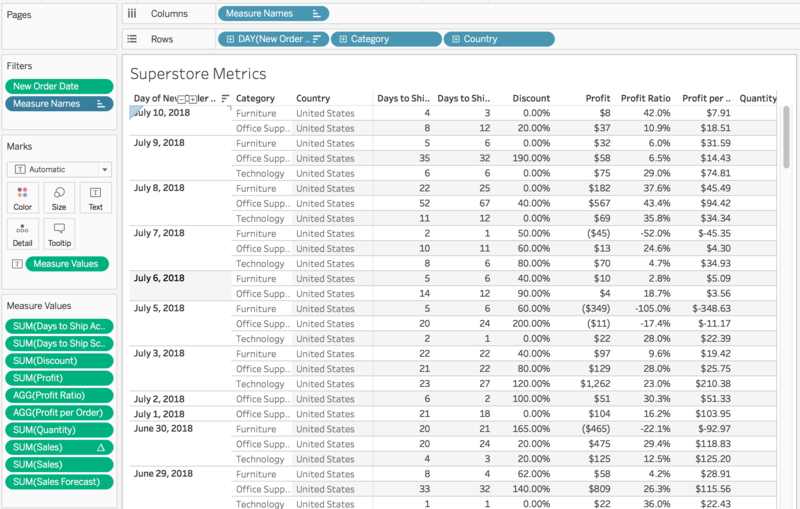 Click on "New Metric" and select the source view from Tableau from the dropdown menu. Depending on you underlying data source and amount of data, this may take a while to load. Next, specify which column represents the time series. If your source data does not have a data column, PushMetrics will add a timestamp to the data on every import. If you select a date column, specify the measurement interval of the source data. For each "Measure Names" column, PushMetrics automatically adds a metric. 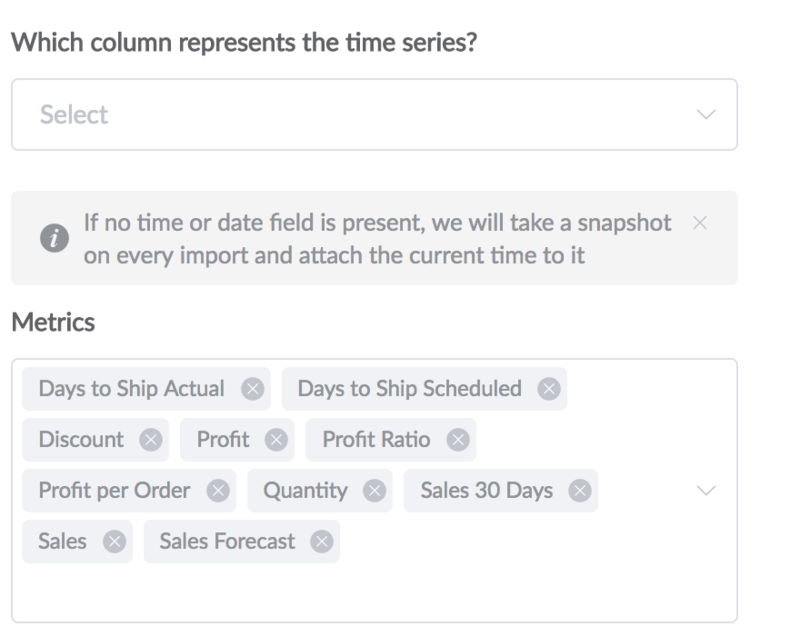 You can remove columns if you don't want to create metrics from them. Now, for each identified metric you can specify a name, which filter dimensions should be available, some meta information and formatting options. 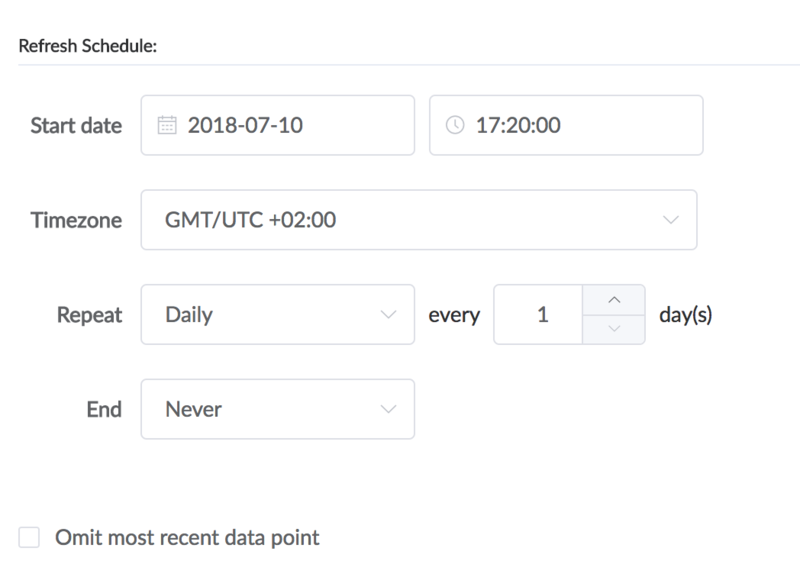 Next, define a refresh schedule for the metric import and you can decide to omit the most recent data point. Omitting the most recent data point makes sense if your data contains values for incomplete time intervals (e.g. data from the current day that is not yet completed). Finally, configure sharing settings to specify who should be granted access to these metrics and hit save. Now, you can go ahead and create alert rules for your new metrics.